If you know me at all, you know that I love a great Sci-Fi story and if an author can mix in a bit of swoon and action on top of the science fiction, I am an even bigger fan. With that said, one of my favorite series that I just happened across a few years ago is The Taking series by Melissa West. There are aliens, quite a bit of action, a smart and strong female main character, and a swoony alien boy. 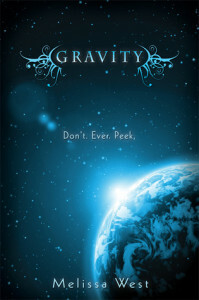 If you haven’t checked this one out yet, definitely pick up Gravity – I think you’ll love it! Plus the series is done so you don’t have to wait to see what happens! In the future, only one rule will matter:Don't. Ever. Peek.Seventeen-year-old Ari Alexander just broke that rule and saw the last person she expected hovering above her bed -- arrogant Jackson Locke, the most popular boy in her school. She expects instant execution or some kind of freak alien punishment, but instead, Jackson issues a challenge: help him, or everyone on Earth will die.Ari knows she should report him, but everything about Jackson makes her question what she's been taught about his kind. And against her instincts, she's falling for him. But Ari isn't just any girl, and Jackson wants more than her attention. She's a military legacy who's been trained by her father and exposed to war strategies and societal information no one can know -- especially an alien spy, like Jackson. Giving Jackson the information he needs will betray her father and her country, but keeping silent will start a war. 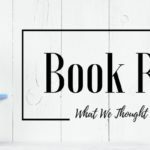 Flashback Friday – A New Meme!! Join Us! !